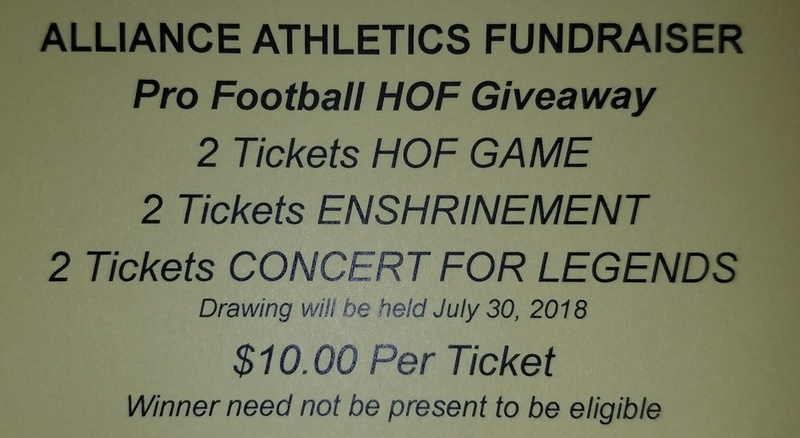 The Athletic Department is selling raffle tickets for the opportunity to win a special NFL Hall of Fame weekend package that includes two tickets to each of the events listed below. All money raised supports ACS Athletics. The lucky winner will be drawn on July 30th. Call 330-821-3972 for tickets or stop by the AHS Athletic Office. Each raffle ticket is $10. Thank you in advance for your support of Aviator Athletics!